Obituary for James R. Jones | Minor-Morris Funeral Home, Ltd.
James Royce Jones, Jr. was born March 28, 1953 in Bay Springs, MS. James graduated from Joliet Central High School and attended Jackson State University. He was employed at Westell in Lisle, IL for years until his health failed. 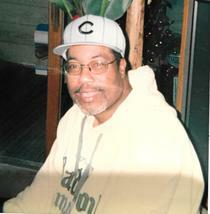 James was an avid sports fan and loved the Cubs. James was preceded in death by his father, Oliver Pittman, mother-in-law, Argusta Carr; two brothers-in-law; several aunts and uncles. James departed this earthly life into eternal reward on Saturday, February 9, 2019. He leaves to mourn his passing his devoted wife, Deborah who provided excellent love and care in their home until the Lord called James to rest. He is survived by his sons, Jermaine Jones, Roberts (Shawny) Ford, Torence R. Ford (Marie, deceased); eight grandchildren and three great grandchildren. James will forever be remembered by his mother, Rachel Pittman; sister, Patricia Jones; brother, Mitch Jones (Diana); two aunts, Irma Knight (Delvin) and Elnora Keys (James); one uncle, Curly Shelby; sisters-in-law, Evelyn Warren, Geraldine Stepney, Mary Robinson, Bernice Ford and brother-in-law, William R. Ford; special friends, Orlando Knight, Ricky Shelby and William (Pop) Ford.